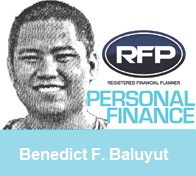 PINOYMONEYVANTAGE | Personal Finance in the Philippines: The Philippines is Moving Forward Right? The Philippines is Moving Forward Right? What do you think is happening here? Have we really moved on? Or we just left out as most of the average Pinoys think that trickle of lives getting better are not are not felt to the poorest people in the country. Inflation was said to be low but the prices on markets and groceries are still high. We still Foreign Direct Investments in the long run. Although we already made it to Standard and Poor's radar as an investment grade country no longer "A sick man of Asia".